Project HAUS. Bringing in clean water to homes. Project HAUS stands for Hantaran Air Untuk Semua (Clean delivery of water for everyone). This Project firmly stands in the vision to bring clean water to homes where it is not connected to the grid and also pipework. A Solar Powered Water Filtration that uses both Sand Filtration and Ultraviolet Filtration delivers clean water and also brings light to these homes at night. 7.76 Million Malaysians lack access to clean drinking water. The lack of access to safe clean drinking water is because these communities live in rural areas, thus not connected to the pipework and unfortunately also to the electrical grid. Due to unsafe drinking water, this portion of the population suffers from life threatening ailments. For example: diarrhea, migraines and dry tongue. This unfortunate circumstance affects the country's socioeconomics, keeping these underprivileged communities sick, uneducated and oppressed. 1.The top cell filters the visible contaminants of the water. 2.The consequent cell of filtration then uses UV treatment to sterilize the water. Apart from providing safe drinking water, the system also functions to provide a clean source of light - replacing the need for kerosene lamps. The unit is modular, making it very simple to operate and also has a safety feature that shuts it down when the system malfunctions. Most of these people make less than 10 Ringgit Malaysia per day. By using technology this solution has made safe drinking water available at only 0.025 cents per liter and providing up to a maximum of 20000 liters. The pledge that would be given would be used to enhance and market test the prototype. 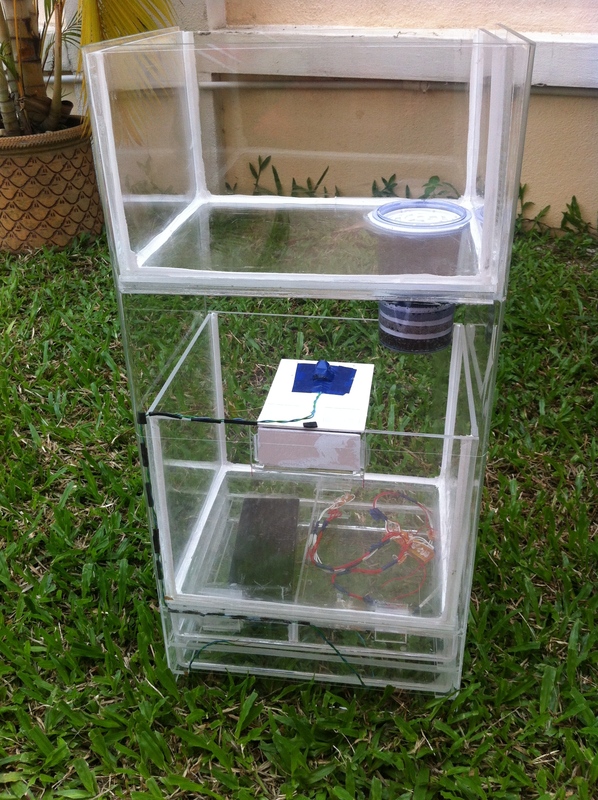 To design and a build a more efficient and improved Solar Powered Water Filtration Unit. Design and build 10 units of the Unit to Kampung Tekir, Labu,Negeri Sambilan. Deploy and constantly monitor performance of every unit. With this additional fund, a preferred village of your choice will then get 15 homes installed with the solar powered water filtration. The selection of the village will be based by the highest vote through crowd sourcing. With Additional Funds, we will add higher battery capacity for longer electrical supply. This community project presents a solution to deliver clean drinking water. However, the person must send pitchIN the proof of transfer by attaching the receipt to the email address: [email protected] with the Subject Heading: Project HAUS. Upon receiving that, the folks at pitchIN can then quickly update the project page. After making the bank transfer, please send pitchIN the proof of transfer by attaching the receipt and your name to the email address: [email protected] with the Subject Heading: Project HAUS. Bringing in clean water to homes. meet and greet session with the beneficiaries. Inclusion of the corporation's logo, brand name, or both on the prototypes.